This is possibly the ultimate summer job! We all know how beautiful England is when the sun is shining and it seems that everyone takes the beach for our favourite treat, ice cream! Whether you live by the sea or not there are ice cream trucks and huts all over the place. Most of these places advertise in their shop window, but don’t be afraid to pop along with a CV and ask whether they need any help. Imagine how much fun it could be serving ice cream all day long, you might even get a few freebies! Mines a 99, thanks. Both the large chain coffee shops and your local independent café are keen to employ students over the summer. Some require that you apply online, but many still advertise in shop, or not at all. It’s a case of getting yourself out there and asking! 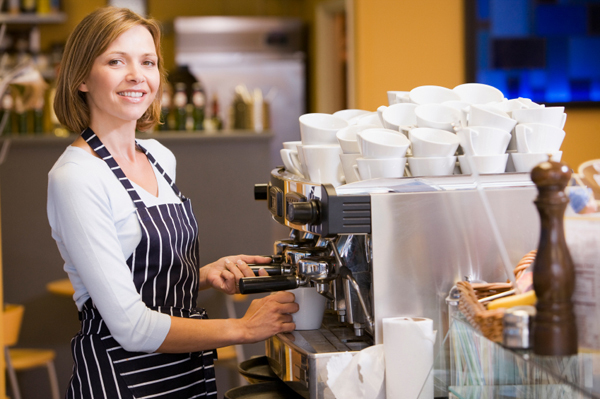 A job as a barista will give you a lot of customer service experience and as there are plenty of jobs in this sector you should be able to find a job pretty easily. For those of you who are interested in sport this would be perfect. Just pop down to your local pool or the beach. There are also summer camps which require life guards. In this role you must be 18 with relevant life guard qualifications, however some places may be happy to give you some training. This would be a great summer job to have, who wouldn’t want to spend the summer in the pool?! Any gamers out there? How about a summer job at your local amusement arcade in town, or for those who leave close enough in a theme park? There are a range of jobs from ticket selling, photography, ride attendants and retails staff in the shops. You would be part of a great team of people working in a busy but exciting environment. This would look great on your CV and show you are willing to work in a stressful environment, as they can get very busy during the summer. Music lovers should snap up the opportunity to work at their favourite festivals over the summer, although most festivals require that you are over 18. There are a huge range of jobs available such as wrist banding, bar work, litter picking, stewarding or volunteering through a charity. Look abroad for an adventure of a life time which could earn you money and give you a great experience. Workers are required in lots of summer camps abroad, namely America and Europe. You may have to put some money into this but think of it as a brilliant investment! Please note that most camps require that applicants are 18 before the date they travel to camp. This entry was posted in General Posts and tagged amusement, arcade, barista, camp, cv, experience, festival, job, Jobs, lifeguard, part time, photography, retail, ride, selling, shop, staff, summer, summer job, theme park, work. Bookmark the permalink.